It’s been known that older generations of hunters and target shooters were given a firearm as a child and viewed their sport as a family tradition and as part of American culture. Now, it’s a different story. The face of the firearm customer is changing as younger, more ethnically-diverse consumers and women are going to the shooting range and the fields. The changing consumer indicates the same old tried and true marketing tactics will not work on today’s and tomorrow’s firearm owner. How do we turn the industry around? Apple and Nike were once in this same position. Consumers want to know who you are about, your values and how you fit in with their world. 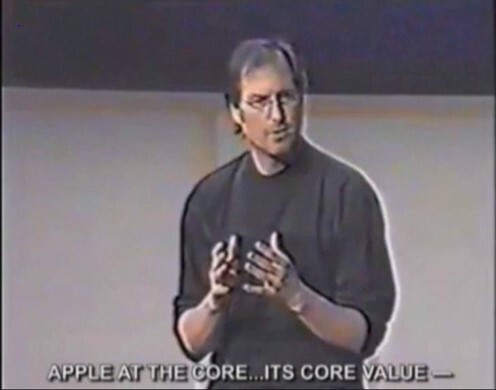 Apple’s most successful marketing efforts entailed not promoting their products, but promoting value. Steve Jobs once said that even the best brands need to nurture their messaging and revolutionize their brand positioning to stay relevant and succeed. When Apple started to lose its luster back in the 80’s, they didn’t talk about how they were better than Windows or promote their product features. The key to their success was addressing who they were as a company and their beliefs. Steve Jobs said their marketing campaign answered the following question: “Who is Apple and what do we stand for, and where do we fit in this world?” Apple’s advertisements focused on how the company believes that those who are passionate enough can make a difference in this world by honoring real people that did. Our recent segmentation study of the firearms and accessories market shows that there are eight different types of consumers all having different core values and needs for owning a firearm. Telling hunters and shooters that you have the highest quality products isn’t enough to drive sales. More than two thirds (64%) of firearm owners say they want to buy from a trusted brand – one that shares their values and understands their specific needs. Understanding the emotional purchase drivers among your target audience(s), their values and the satisfactions they get when they target shoot or hunt will help identify key brand characteristics that will resonate the most. Now’s the time to tell your story. With some consumers, inspirational messaging is not enough, they want the know-how. There are a few firearm segments, such as Debbie Defense, who have little firearms knowledge, but have a strong interest in recreational shooting. These firearm consumers want to get involved, but they need someone to show them the way. Well, years ago, Nike learned that telling consumers “Just Do It” wasn’t enough to get people running. To establish a strong relationship with consumers, they looked at how their brand could be of service and create a great experience. Their solution was launching the Fuel Band™, which helps its customers create and manage their exercise goals. Although it’s a product, it’s main purpose was a marketing tool. Once Fuel Band™ started selling, Nike was able to sell more products as consumers became more aware of Nike’s value and lines. Manufacturers can create educational products, tools and events to better engage different customer segments. Research shows that someone who owns one type of firearm and is a hunter or target shooter doesn’t define them. Our recent reports on the protection market, handgun owners and modern sporting rifle owners reveal that they are very unique and do not represent just one customer segment. It’s important for manufacturers to understand these different types of segments and show how their views, beliefs and aspirations align with the consumers’ needs and interests. Given the uncertainty in the market, now is the time to nurture or even reposition your brands to connect with today and tomorrow’s customers.